This name uses Eastern Slavic naming customs; the patronymic is Borisovnaand the family name is Pugacheva. People's Artist of the USSR, also sometimes translated as National Artist of the USSR, was an honorary title granted to artists of the Soviet Union. The State Prize of the Russian Federation, officially translated in Russia as Russian Federation National Award, is a state honorary prize established in 1992 as the successor for the USSR State Prize following the breakup of the Soviet Union. In 2004 the rules for selection of laureates and the status of the award were significantly changed making them closer to such awards as the Nobel Prize or the Soviet Lenin Prize. The Order "For Merit to the Fatherland" is a state decoration of the Russian Federation. It was instituted on March 2, 1994 by Presidential Decree 442. Until the re-establishment of the Order of St. Andrew in 1998, it was the highest order of the Russian Federation, though it is still the highest civilian decoration of the state. The Order of St. Andrew decoration is given to military personnel only. The order's status was modified on January 6, 1999 by Presidential Decree 19 and again on September 7, 2010 by Presidential Decree 1099. Radio Yunost, also known as "You-FM" is the primary youth radio station in Russia. Lipetsk is a city and the administrative center of Lipetsk Oblast, Russia, located on the banks of the Voronezh River in the Don basin, 438 kilometers (272 mi) southeast of Moscow. As of the 2010 Census, its population was 508,887. Oleg Leonidovich Lundstrem was a Soviet and Russian jazz composer and conductor of the Oleg Lundstrem Orchestra, one of the earliest officially recognized jazz bands in the Soviet Union. In 1974, she came in 3rd place in the All-Union competition of musicians. In 1975, she received the Grand Prix of the international contest "Golden Orpheus" performing the song "Harlequin" by Emil Dimitrov. The Amiga label released her winning song as a single in East Germany. Subsequently, in Bulgaria, the Balkanton label released the live recording of "Harlequin" from the festival as a single. One year later, Pugacheva returned to the "Golden Orpheus" to perform a concert outside the competition. The Balkanton released the live tracks as Pugacheva's first album Zolotoy Orfey 76. In that same year, Pugacheva recorded a number of songs for the musical drama-comedy The Irony of Fate as the singing voice of Nadja, the female protagonist. The Golden Orpheus was an international song contest, held annually from 1965 to 1999 in Sunny Beach, Bulgaria. Alongside its Bulgarian pop song competition, the festival’s rules and regulations included an international singing contest. The event quickly grew to be one of the most prestigious Eastern European festivals during socialism. Emil Dimitrov was a Bulgarian singer, musician and composer. He was popular for his songs „Ако си дал“ , „Моя страна, моя България“ , „Нашият сигнал“ , „Само един живот“ , „Джулия“ ('Julia'), „Арлекино“ ('Arlequine'), „Писмо до мама“ and others. Amiga is a popular music record label in Germany. Once an organ of the East German state-owned music publisher VEB Deutsche Schallplatten, Amiga became a label of the Bertelsmann Music Group in 1994. Pugacheva went on to work on the musical film The Woman who Sings in cooperation with the band Ritm (Rhythm) in 1977. She played the leading lady, a famous pop singer who sacrifices her personal life for her career. The soundtrack, which was co-written by Pugacheva and composed of pop songs, culminated with the dramatic title ballad "Zhenshchina, kotoraya poyot". The Soviet audience, regarding the film as autobiographical,  brought the soundtrack to reach record audience of the year in 1979, as it was bought by 55 million people. The soundtrack was first released in 1977 as part of the double album Zerkalo dushi (Mirror of Soul), which was a collection of her songs from 1975–77. The Victor label released a collection album Alla Pugacheva in the same year in Japan. In 1978, performing the song "Vsyo mogut koroli" ("Kings Can Do Anything"), Pugacheva received the Amber Nightingale prize at the Sopot International Song Festival which at the time meant automatically winning the Grand Prix of the Intervision Song Contest. In 1980, the Kansan label of Finland released her above listed works as the compilation album Huipulla (At the Top). Tonbandausnahmenkompanie Bayer GmbH did the same in West Germany, releasing Alla Pugachova. Pugacheva with Russian President Vladimir Putin, Belarusian President Alexander Lukashenko, Ukrainian President Leonid Kuchma in Slavianski Bazaar in Vitebsk, 25 July 2001. President of Russia Dmitry Medvedev awarded Pugacheva the 3rd Degree Order of Merit for the Fatherland on her 60th birthday (15 April 2009). President Boris Yeltsin awards the 2nd Degree Order of Merit for the Fatherland to Pugacheva, 15 April 1999. President Dmitry Medvedev awards the 3rd Degree Order of Merit for the Fatherland to Pugacheva on her 60th birthday. In 1969, she married Lithuanian circus performer Mykolas Orbakas [ lt ], and in 1971 she gave birth to a daughter, Kristina Orbakaite, who is also a popular singer. Pugacheva divorced Orbakas after four years of marriage in 1973. She married film director Alexander Stefanovich in 1976, and starred in several of his movies. The union was dissolved in 1980. In 1985, Pugacheva married producer Yevgeniy Boldin, with whom she had numerous professional collaborations. She had a working and romantic relationship with a young musician and singer, Vladimir Kuzmin during this period. In 1993, she divorced Yevgeniy Boldin stating that their professional lives interfered too much with their personal life. In 1994, she married a pop singer, Philipp Kirkorov. Their divorce was announced in November 2005. There is an unknown number of single and EP releases published all over the world. Best selling music artists – World's top selling music artists chart. ↑ Encyclopædia Britannica repeats a claim on its features website that Pugacheva has sold around 250 million records. Other internet sources claim figures from 75 million to 250 million records, though there is no official source for this information. Melodiya is a Russian record label. 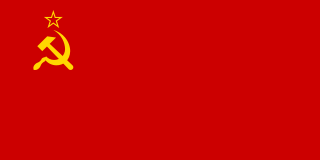 It was the state-owned major record company/label of the Soviet Union. Ojārs Raimonds Pauls is a Latvian composer and piano player who is well known in Latvia, Russia, post-Soviet countries and world-wide. He was the Minister of culture of Latvia from 1988 to 1993. Kristina Edmundovna Orbakaitе, better known as Kristina Orbakaite, is a Russian-Lithuanian singer and actress. Her parents are Russian pop star Alla Pugacheva and Lithuanian circus performer Mykolas Orbakas. Viktor Georgiyevich Pugachev is a former Soviet test pilot who was the first to demonstrate the so-called Pugachev's Cobra manoeuvre to the general public in 1989, flying an Su-27. Gold medal of the Hero of the Soviet Union was awarded to him in the late 1980s. He graduated from Yeysk military aviation school in 1970, test-pilot school in 1978 and the Moscow Aviation Institute in 1980. After two years with Gromov Flight Research Institute has joined OKB Sukhoi where tested the Su-9, Su-15, Su-24, Su-25 and the Su-27. On 1 November 1989 landed an Su-27K on an aircraft carrier for the first time in Soviet history. He became famous after his 1989 Su-27 demonstrations on the Paris Airshow. Pugachev is credited with first ever non-vertical take-off and landing (VTOL) from the aircraft carrier Admiral Kuznetsov. Aleksandra Nikolayevna Pakhmutova is a Soviet and Russian composer. She has remained one of the best known figures in Soviet and later Russian popular music since she first achieved fame in her homeland in the 1960s. People's Artist of the USSR (1984). Philipp Bedrosovich Kirkorov PAR is a Russian pop singer of Armenian-Bulgarian origin. He is a five-time winner of the "Best Selling Russian Artist" title at the World Music Awards ceremonies. Jacob Dahlin was a Swedish TV- and radio-host. Yury (George) Chernavsky is a Russian producer, composer and songwriter. Distinguished Artist of the Russian Federation. Member of performance rights organisations such as GEMA, BMI, and RAO. Dusha is a 1981 Soviet musical drama film written by Alexander Borodyansky and directed by Alexander Stefanovich, starring Sofia Rotaru and Mikhail Boyarsky. The movie features songs performed by Sofia Rotaru, Mikhail Boyarsky and the Russian rock band Mashina Vremeni. The movie has substantial philosophical dialogue about the self-criticism of an artist and the existential approach to the golden mean between artistic creation and respect for human dignity. Igor Yuryevich Nikolayev is a Russian composer, singer and song-writer. "Lavanda" is one of the major hits of Sofia Rotaru, a popular song for duet performance of 1985. It was first performed on the New Year TV. Vesyolye Rebyata is a Soviet VIA band formed in 1966, in Moscow. It became one of the most successful and best known VIA bands of all time. Its debut album sold 15,795,000 copies and its membership included at various times such popular Soviet era singers as Alla Pugachova, Alexander Gradsky, and Alexander Barykin. As of 2006, the band had sold a record-shattering 179,850,000 records. "Dāvāja Māriņa meitenei mūžiņu" is a Latvian song composed by Raimonds Pauls with lyrics by Leons Briedis. It was performed at the 1981 Mikrofona aptauja by Aija Kukule and Līga Kreicberga. Crimea Music Fest is an annual International Music Festival and International Song Contest, which takes place in Yalta. The total prize fund of the contest is USD 200,000. The festival management is located in Kiev. Nani Bregvadze is a Georgian Soviet singer. She was born, raised and started her career in Soviet Georgia in the USSR, then gained USSR-wide popularity during 1957 6th World Festival of Youth and Students. Bregvadze has performed both with the Georgian music groups and solo. Russia participated in the Eurovision Song Contest 1997] in Dublin, Ireland. The Russian entry was selected internally by the Russian broadcaster Russian Public Television (ORT). Alla Pugacheva represented Russia with the song "Primadonna", which placed 15th and scored 33 points at the contest. The Woman who Sings is a 1978 Soviet film by Aleksandr Orlov. It is a musical melodrama and fictionalized biography of Alla Pugacheva, where the heroine is represented by Anna Streltsova. ↑ "ВРЕМЯ Z" – журнал для интеллектуальной элиты общества [Time Z – Journal for the intellectual elite of the society] (in Russian). 13 November 2006. ↑ Alison Smale (28 February 2000). "A Superstar Evokes a Superpower; In Diva's Voice, Adoring Fans Hear Echoes of Soviet Days". The New York Times. Retrieved 17 April 2012. ↑ Jon Pareles (25 September 1988). "Review/Music; Alla Pugacheva's Moody, Ardent Soviet Pop". The New York Times. Retrieved 17 April 2012. ↑ Всем шоу шоу. Archived from the original on 9 September 2012. Retrieved 5 December 2015. ↑ Alla Pugacheva. IMDb.com. Retrieved 27 June 2010. ↑ Collection of her songs from movies Archived 2005-03-11 at the Wayback Machine , russiandvd.com; retrieved 10 October 2013. ↑ «Женщина, которая поет»: кто такой Борис Горбонос? ["The Woman Who Sings": Who Is Boris Gorbonos?]. volgograd-trv.ru (in Russian). 17 April 2009. Retrieved 22 May 2009. ↑ Лидеры проката [Top bill]. Kinokultura.com (in Russian). Archived from the original on May 10, 2012. Retrieved 22 May 2009. ↑ :ВРЕМЯ Z" – журнал для интеллектуальной элиты общества [Time Z – Journal for the intellectual elite of the society] (in Russian). 13 November 2006. Retrieved 23 May 2009. ↑ Alla Pugacheva biography, artistdirect.com; accessed 17 May 2015. ↑ Profile Archived 2015-06-08 at the Wayback Machine , intermedia.ru; retrieved 8 June 2015. ↑ "Алла Пугачева и Максим Галкин поженились (ФОТО)". Mail.ru. 26 December 2011. Retrieved 28 December 2011. ↑ "Pugacheva about Tymoshenko". UNIAN. 6 March 2009. Retrieved 6 March 2009. ↑ "Yulia Tymoshenko sang a song for Alla Pugacheva". UNIAN. 24 April 2009. Retrieved 24 April 2009. Wikimedia Commons has media related to Alla Pugacheva .